This chapter articulates upon an appropriate rubric towards practice frameworks in regards to Africa. It calls for the careful adoption and adaptation of Euro-American bioethics principles and indigenizing them into the African context via the matrix of Africology (Afrocentrism). 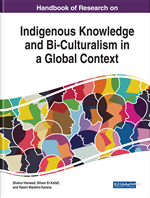 Efforts on the specifics of refocusing attention on core bioethics principles and values are a welcome development that would help reflect the local color in various cultures, bolstering the push to come up with an appropriate blueprint for bioethics practice that recognizes the multiplicity of cultures worldwide. As a discipline, bioethics2 is very young. It is still in its 40s, having emerged in the 1970s in the U.S. (and elsewhere) and catalyzed by biomedical landmark events that gave rise to for example, the Nuremburg Code, the Declaration of Helsinki (DoH), the Council for International Organizations of Medical Sciences (CIOMS), and the Belmont Report. These are sets of ethical guidelines developed to regulate biomedical and social science research, particularly research with human subjects. Being so young and with penetrating tentacles, it was only a matter of time before bioethics formative ideology would encounter challenging scenarios at socio-cultural milieus outside of its birthplace and comfort zone.